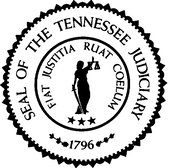 Title:STATE OF TENNESSEE v. TOMMY JOE JONES, SR. Title:EAGLE CDI, INC., ET AL. v. MICHAEL J. ORR, ET AL.